Community groups proposed a long list of solutions to roll back endemic lending discrimination Thursday in a special oversight hearing of the Philadelphia City Council to wipe out modern-day redlining. “It’s a tale of two cities, to be quite frank with you,” said Councilman Kenyatta Johnson, who called for the hearing in response to Kept Out, an expose of lending disparities by Reveal from The Center for Investigative Reporting. Reveal found that African Americans in the Philadelphia area were nearly three times as likely as white applicants to be turned down for conventional home purchase loans, even when they made the same amount of money, sought the same size loan or wanted to buy in the same neighborhood. It was one of 61 metro areas where Reveal’s analysis, independently confirmed by The Associated Press, exposed a troubling pattern of mortgage denials to people of color. Although black and white people represent similar shares of the population in the Philadelphia metro area, Reveal found white borrowers received 10 times as many conventional home loans as black ones. Lending institutions, which have been critical of Reveal’s report, declined invitations to appear at the hearing. 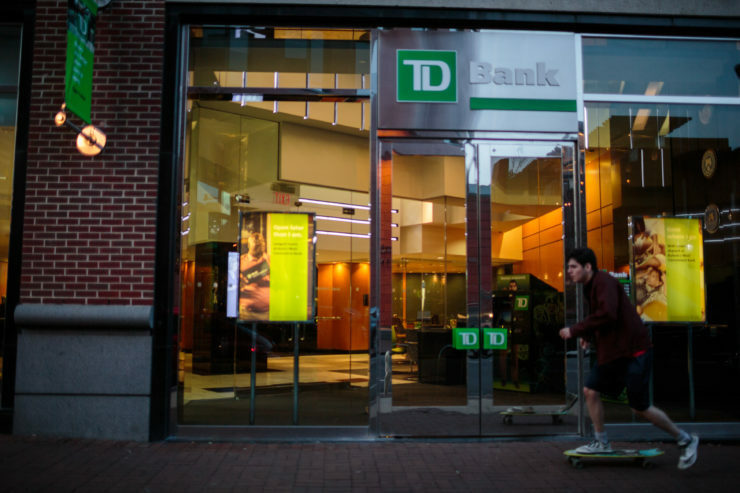 Among the banks invited were 10 institutions that hold city deposits, including Bank of America, Citizens Bank, PNC Financial Services Group, TD Bank and Wells Fargo. Johnson said he was exploring the idea of directing city deposits to the banks that best serve the community. Other speakers suggested that the city create a series of metrics that banks should have to meet to retain government deposits. Stella Adams, head of civil rights for the National Community Reinvestment Coalition, said such a system should include a threshold number of home rehabilitation loans to people of color, small business loans and home purchase loans to low-income and minority residents. Peter Schneider, a supervising attorney at the nonprofit Community Legal Services of Philadelphia, said the city should consider a local Community Reinvestment Act to review all institutions. Each institution would be given a letter grade based on how many loans it makes in the community and the percentage of its branches in minority and low-income neighborhoods. Pennsylvania Attorney General Josh Shapiro, who last month launched a fair lending investigation following Reveal’s story, said at least one lender, PNC Financial, had responded to his request for more information on lending decisions. The Pittsburgh-headquartered bank denied 44 percent of conventional home purchase applications from African Americans in Philadelphia in 2015 and 2016, while rejecting 15 percent of white applicants. PNC was one of three banks, along with Citizens Bank and Wells Fargo, to provide written testimony for the hearing. The banks disputed the veracity of Reveal’s analysis because it did not consider credit score and information about borrowers’ overall debt-to-income ratios – all information that the mortgage industry has fought successfully to keep secret. In its written statement to the council, PNC Vice President Kafi Lindsay also said the bank “maintains a robust fair lending program” that’s regularly reviewed by federal regulators, along with “numerous programs designed to help” minority and low-income individuals to become homebuyers and achieve financial success. Shapiro asked those who believe they’ve been discriminated against to come forward with their personal experiences. “We need residents of Philadelphia to help us with this,” he said. A hotline and email address have been established for that, he said: 800-441-2555 or discrimination@attorneygeneral.gov. Other speakers noted that allegations of mortgage discrimination were not new to Philadelphia and that the city had developed, and then abandoned, programs that had successfully addressed housing discrimination in the past. Dainette Mintz, government relations officer for the Urban Affairs Coalition – a coalition of civic-minded business and community groups – noted that her organization had partnered with area banks in 1975 to develop the Philadelphia Mortgage Plan, which encouraged lenders to make loans to people of color and in low-income parts of the city during a time when it was losing population. Over 24 years, Mintz said, the plan “financed more than 18,000 mortgages and became a national model for mortgage financing.” Its pillars included extending more flexible lending criteria to borrowers in blighted neighborhoods and a second review of applications slated for rejection. It was disbanded in 1998, she said, because “the economy was providing people with a number of resources; it was no longer needed.” Mintz suggested that it might be time to bring back such a partnership. Angela McIver, CEO of the Fair Housing Rights Center in Southeastern Pennsylvania, noted that in 2016, the city of Philadelphia had completed an 832-page analysis of the state of fair housing. But its recommendations have gone largely unimplemented by the city. After the hearing, Johnson said he was reviewing the testimony and considering next steps. A colleague, Councilwoman Blondell Reynolds Brown, said she was heartened that officials at every level of government seemed to be on the same page. Aaron Glantz can be reached at aglantz@revealnews.org, and Laura Starecheski can be reached at lstarecheski@revealnews.org. Follow them on Twitter: @Aaron_Glantz and @Starecheski.